Often thought of as a singular wine style, the prodigious vineyards of the Valpolicella DOC, a Veneto sub-region in north-eastern Italy, now produce a broad range of grapes and blends. Rightfully known for light and fruity wines intended for early consumption, the bulk of the vines planted here include Rondinella, Molinara, and Corvina Veronese. Up until the early medieval age, these hillside tracts of fertile soil that are dependably fed by a lattice of brooks in the Adige River watershed were individually named valleys: Vallis Provinianensis, rolling out northwest of famed Verona, and Vallis Veriacus to the east. In time, the reference to these and an adjacent plain were combined, becoming Vallis Pulicella. Modern day Italians, along with the rest of an appreciative wine world, now succinctly call the region Valpolicella. Circa the 12th-century onwards, stewardship of the ‘valley of many cellars’ was first overseen by the Veronese nobility and then the prosperous mercantile class who followed in their footsteps. As regional contributors to the glory age known as the Serenissima Republia (‘Serene Republic of Venice’), this partnership of multi-generational families coupled with local agricultural expertise has been a winning formula for distinctive winemaking and export know-how. Viva Verona! Ripasso (to ‘go over again’) is a relatively ancient vinification technique which has again become popular with red wine lovers looking for bolder versions of standard Valpolicella; lighter than the complex, heavyweight, and significantly more expensive Amarone, another specialty in the region. 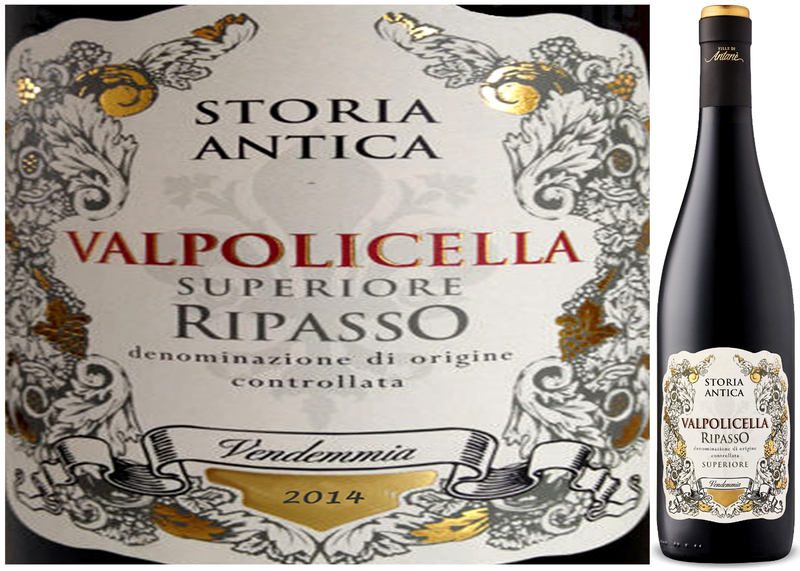 For this week’s DéClassé selection of Storia Antica Valpolicella Superiore Ripasso 2014, the ‘Ripasso’ designation refers to a multi-step process beginning with selective, hand picking and sorting of grapes that include a predominate blend of Corvina Veronese and Corvinone Nero, as well as, a splash of Rondinella. The fruit macerates in contact with the skins for approximately 10 days before filtering, after which it settles and matures while stored in Inox (stainless steel tanks) for several months. In January/February of the following year, the second fermentation stage that characterizes Ripasso wines is achieved by reusing the pumice of dried grapes discarded after a complicated production process in making Amarone. Blending this mash, which still holds a concentration of unconverted sugars, with the young Valpolicella prompts the re-fermentation. The wine is filtered again, then left to age for 12 months in large oak barrels and 6 months in the bottle. If executed with care, these steps create a richer wine with noticeably more tannin, pigment, and an alcohol content boosted from 11% to at least 13%. A great deal of time and effort has been invested in this production style, so paying a few dollars above the baseline price-point for generic Valpolicella is more than justified. As this bottling is from the 2014 vintage, it’s ready to drink now – it may also be enjoyed over the next 3-5 years if for some reason you misplace your corkscrew! By: Le Ville Di Antane S.R.L. With its dominant flavours of dark fruit, some chocolate and savoury notes, and the signature yet subtle raisinated quality, this ruby coloured wine is a signature Ripasso Della Valpolicella. Dry, flavourful and smooth, the bottling’s balance of oak and fruit combine in a refinement that’s not always achieved in the sometimes, heavy-handed Appassimento styles. An excellent wine choice for barbecued steaks and ribs, lamb tagine, roasted butternut squash, or Ratatouille with crispy herbed croutons. In the 1650’s, while toiling to create productive fields at the end of a rutted ox wagon trail that connected with the small coastal outpost of Cape Town, farmers also had to keep their ears tuned for a tell-tale shot ringing out from the heights of Kanonkop (‘cannon hill’). Repeated by a string of relay-cannons, the booming signal would eventually reach the remotest inland settlements; announcing the port arrival of a sailing ship requiring fresh provisions! Resupply and repair of the Dutch East India Company’s Maritime fleet at the southern outcrop of Africa was a compelling motivation in the 17th century for founding Cape of Good Hope as a refueling station; critically positioned halfway between Atlantic home ports in the Netherlands and the Indonesian trade colonies of Batavia that lay across the Indian Ocean and Java Sea. Included on the checklist of ships’ stores was the need to replenish their bottled spirits. The French Huguenot settlers who had been enlisted by the Dutch company recruiters were quick to transplant grapevines into this untapped agricultural paradise, then sell onboard the finished wines! With some justified claim to being one of the Cape’s renowned white grape varieties, the plucky, old, and gnarly bush vines that produce Chenin Blanc thrive, unirrigated, in this dryland region’s crushed granite soils. Challenged by these conditions, the long-lived rootstock has learned to burrow deeply; drawing on the mineral-rich nutrients and moisture that have percolated downward in the rocky terrain. As is often the case with grapevines, environmental stresses promote the development of more characterful fruit; invested with a nuanced layering of flavour. The desirable combination is evident in this DéClassé featured bottling of a historically unheralded, though now renascent, Chenin Blanc wine style. Well suited to the terroirs of the continent’s southernmost tip, this vintner has aptly and evocatively named the offering, Vinum Africa. 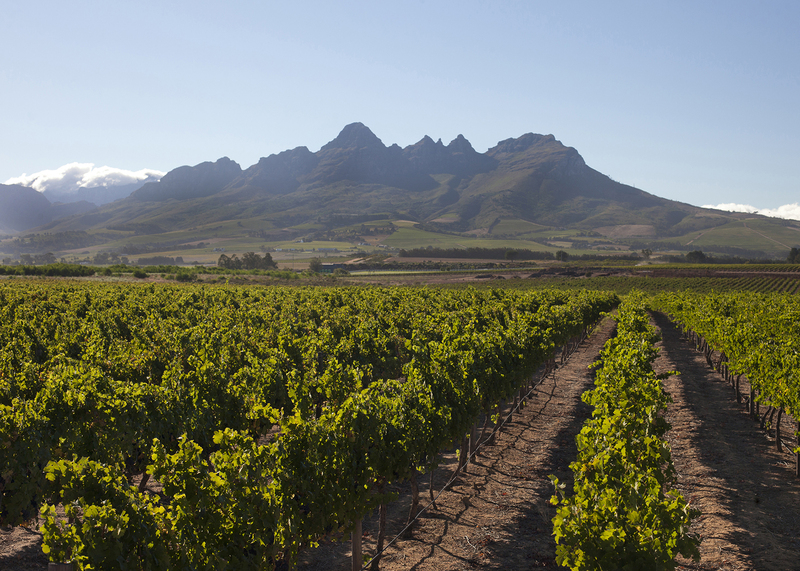 Comprising 20% of South Africa’s total cultivation and output, the winelands of the Stellenbosch region in the Western Cape continue to rise in the competitive ranks of reputation. The somewhat younger, ocean-facing vineyards of the Winery of Good Hope lining the lower slopes of the Helderberg (bright mountain), are one cornerstone of a farming enterprise that’s at the creative forefront of exploiting the advantages of a dynamic wine region, and its motivated cadre of world-class winemakers. Hands-on harvesting, manual sorting, and careful selection lead the production process where natural fermentation of the grapes takes place in stainless steel tanks. While a majority of the harvest is left to linger on the expired yeast (lees), infusing the batch with some subtle toasty notes, the other 30% is transferred to mixed generations of Oak barrels where it takes on its spice accents. The final blend and resting of both components for several months is a key step in a recipe that imbues the still-crisp acidic fruit with considerable aromatic depth and range. It’s also the measurable distinction for how Chenin Blanc develops a more rounded flavour profile in SA; contrasting the leaner versions that are fashioned in its native France, where it’s known as Pineau de la Loire. 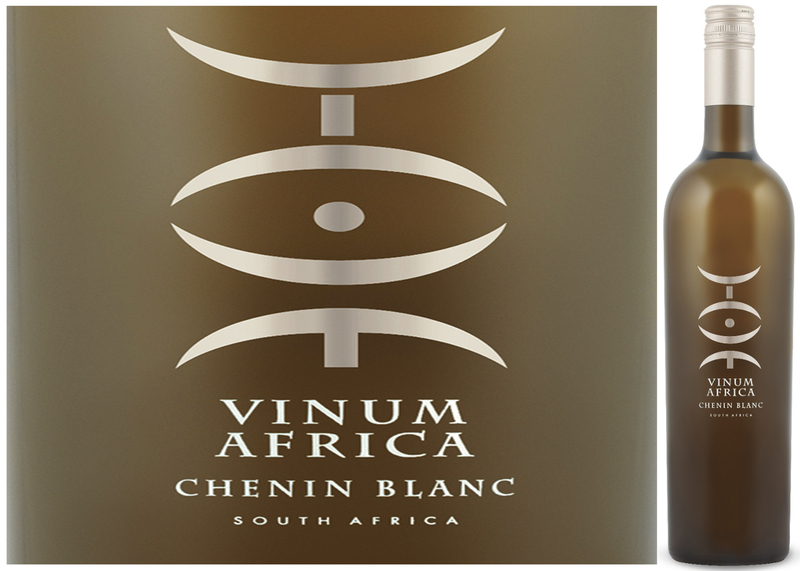 The striking embossed symbol acting as a label combines an ethnic flourish with the Latin term Vinum (wine) and was conceived as an expression of the positive political, historical and social progression in a revitalizing South Africa. Proudly playing out their part, the passion, and care of these vintners is palatable in the glass. This is a lovely layered wine, offered at a very reasonable price-point and we’re very fortunate to have access to some of the limited cases from the 2015 vintage!